Robert Whittaker out of UFC 221 with an injury, Luke Rockhold get a new opponent. Robert Whittaker’s first title defense as undisputed middleweight champion is on hold. Robert Whittaker, a middleweight champ has suffered an injury and will no longer be able to fight against Luke Rockhold in the main event of UFC 221’s pay-per-view in Australia next month. Luke Rockhold will now face Perennial contender Yoel Romero, whom Robert Whittaker initially pounded for the interim title in the main event of UFC 213, for a new interim title last July. 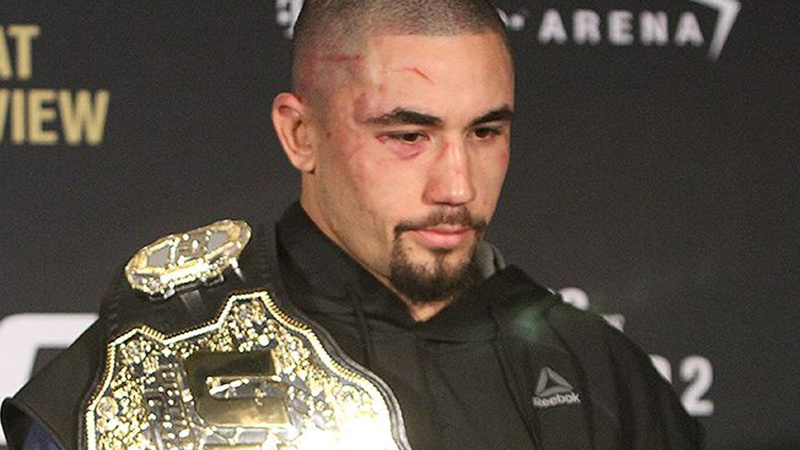 Robert Whittaker just became the official champion after Georges St-Pierre (GSP) vacated the title following his third-round submission victory over former middleweight champ Michael Bisping in the main event of UFC 217 on November 4. ESPN’s Brett Okamoto first reported the news on early Saturday via social media. Yoel Romero was originally booked to square off with David Branch at February’s UFC on FOX 28 event at Amway Center in Orlando, Fla.
No words yet if Branch will remain on the card against a new opponent. I would like to apologize to all my supporters and fans of MMA for not being able to put on the show you deserve. I’ve been ruled medically unable to compete and wont be able to defend on home soil. This card meant so much to me and I’m devastated for not being able to fight. All I can do is focus on getting healthy to come back better than ever. All the best to Yoel and Luke for their fight and ill be waiting. It’s an unusually devastating hit for an already lacking pay-per-view (PPV) which features Mark Hunt vs. Curtis Blaydes in the co-main but not much else that would justify calling it a true pay-per-view-worthy event. Who do you think will manage to stay on top in UFC 221’s newly announced main headliner between Romero and Rockhold?